I Love You Messages for Fiancé: Expressing yourself, is what keeps relationships alive and romantic. Don’t let the fact that you have become a fiancé-fiancée couple, push you into a state of complacency. Tap into the awesomeness of sweet quotes, mushy texts and funny messages to keep the puppy love throbbing. Make cute little handmade greeting cards and surprise him by slipping it into his pockets. Post flirty stuff on his Facebook and share it on your Pinterest. Engagement is the officially beginning of the rest of your lives together. Cherish these days and make the most of the sunny hues of your relationship in the lead up to your wedding. Little things like these will hold you together and make the bedrock of your marriage unshakable. 2) Our relationship as fiancé-fiancée is… sometimes challenging, but always a delight. Sometimes chaotic, but always fantastic. Sometimes impulsive, but always stable at the core. Sometimes simple, but always romantic. I love you. 3) If the time between the first day we met to the day we finally wed is anything to go by, our lives will have happiness, love and romance in oversupply. I love you. 4) It removes fear, it keeps me happy. It makes me feel complete, it shows me our destiny. This thing is nothing but, your love for me. It is my everything, it is my life’s key. I love you. 5) You came in my life like a hurricane and stayed back in the form of the calm and surreal stability that’s there after a storm. I love you. 6) Relationships are not meant to be perfect. 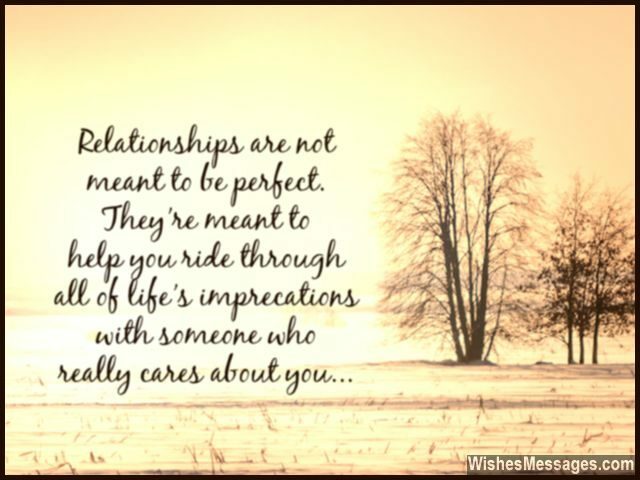 They’re meant to help you ride through all of life’s imperfections with someone who really cares about you. You’re that someone for me – I love you. 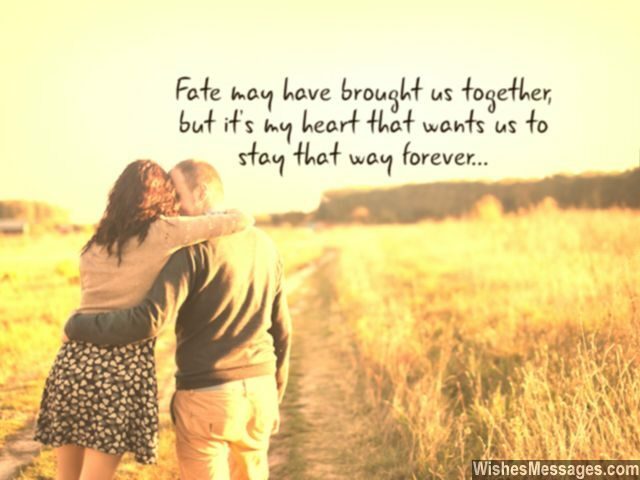 7) Our love story will never become pale. It is eternal and beautiful, just like a fairytale. I love you. 9) My dear fiancé… a wedding will formalize our relationship but in my heart there was no doubt since the day we met. I love you. 13) Our love makes life beautifully misty and foggy, yet so transparent. I love you. 14) We dated, we fell in love and now we have finally got engaged – this was what for which my heart has forever prayed. I love you. 15) Now that we are engaged, I look forward to imprisoning you in my love’s cage. Soon, once we get married, I will bombard you with my needs. After all who else will fill in your life, the stereotype spot of that person called wife. I love you. 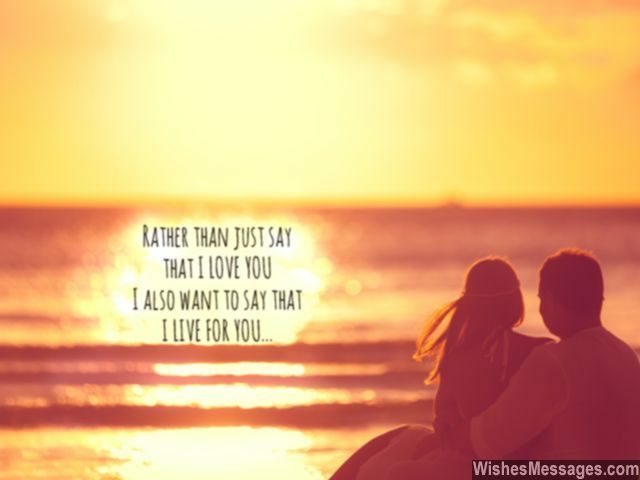 16) Rather than just say I LOVE YOU, I also want to say that I LIVE FOR YOU. 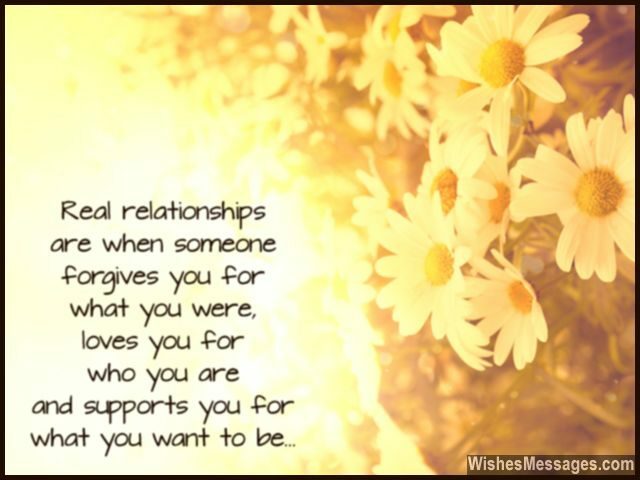 17) Real relationships are when distance means nothing because love means everything. 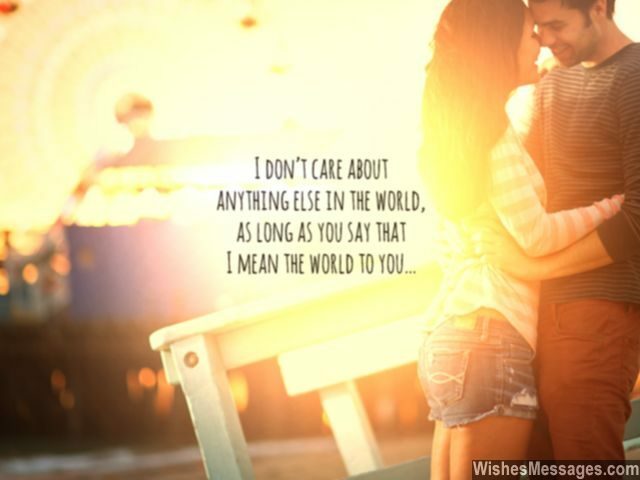 Ours is just that, I love you. 19) Our love is… mature yet innocent, stable yet sensual. Calm yet tantalizing, real yet surreal. I love you. 20) Even though we are many months away from the day when we tie the knot, I want to let you know beforehand that I am forever yours and I love you a lot. 21) Real relationships are when someone forgives you for what you were, loves you for who you are and supports you for what you want to be. 22) Your love has made me feel the corners in my heart that I never knew I had. I love you. 24) As time goes by we may grow old, but I promise that our love will forever stay young. I love you. 25) Your love may have made me blind but it has given my life a vision that it never had before. I love you. 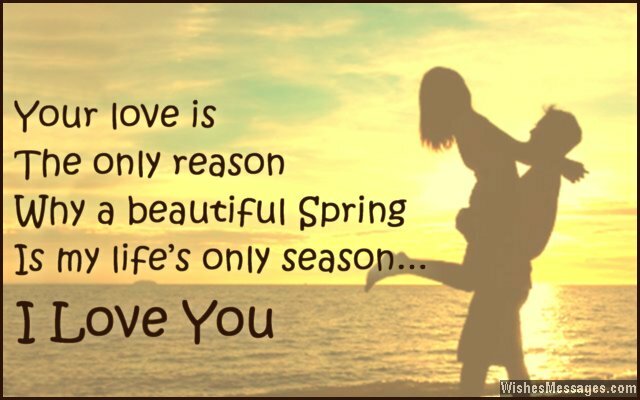 26) Your love is the only reason, why a beautiful Spring is my life’s only season. I love you. 27) It is not hard to imagine the fact that we will have a beautiful future together but it is hard to imagine how hopeless and pathetic my life would have been without you. I love you. 28) Whether it is am or pm, thinking about you always increases my heart’s bpm. I love you. 29) You aren’t just my love, you aren’t just my fiancé, you are the man because of whom I look forward to waking up every day. I love you. 30) To my fiancé… the day you see me walking down the aisle, everything will be perfect I promise. At that moment, we will seal our lives together with a kiss. 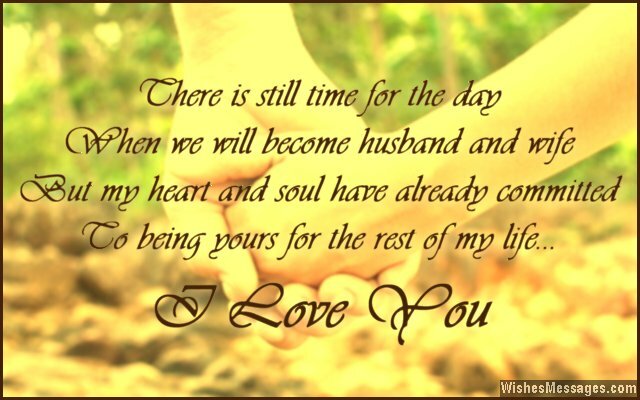 As we wait to be blissfully married to one another, I just want to say, that I will love you forever. 31) As beautiful as a vibrant rainbow, as lovely as a pretty meadow. 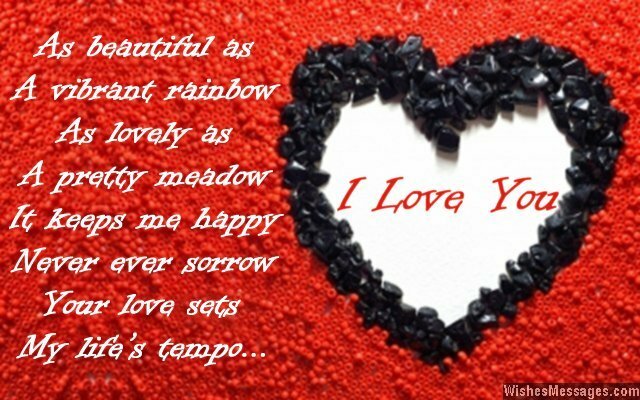 It keeps me happy, never ever sorrow – your love sets my life’s tempo. I love you. 32) As I eagerly wait for the day when I will finally walk down the aisle, I can’t help but constantly break into a blushing smile. I love you. 33) I am now ready to face any storm life can throw at me because I have found my lifelong bunker and shelter – the cozy spot on my fiancé’s shoulder. I love you. 34) Before I met you, I always felt the overpowering need to be loved. After I met you, I have the obsessive need not to be loved, but to love you – a man so handsome and caring. I love you. 35) I don’t need Facebook anymore because I am now on my way to being officially hitched to my life’s biggest LIKE. I love you. 36) There is still time for the day when we will become husband and wife, but my heart and soul have already committed to being yours for the rest of my life. I love you. 37) Some people say that marriage is all about compromise and forgiveness, but I promise that ours will be filled with romance and happiness. I love you. 38) Metaphorically my life is a soaring hot air balloon, inflated by your love. I love you. 39) Regardless of whether we have jobs or not, regardless of whether we have a big house or not – we will always be rich because we love each other a lot. I love you. 40) Being in love with you feels like an endless journey in which I am sitting on a cozy window seat, blissfully watching the world go by. I love you.